Item # 319293 Stash Points: 3,995 (?) This is the number of points you get in The Zumiez Stash for purchasing this item. Stash points are redeemable for exclusive rewards only available to Zumiez Stash members. To redeem your points check out the rewards catalog on thestash.zumiez.com. 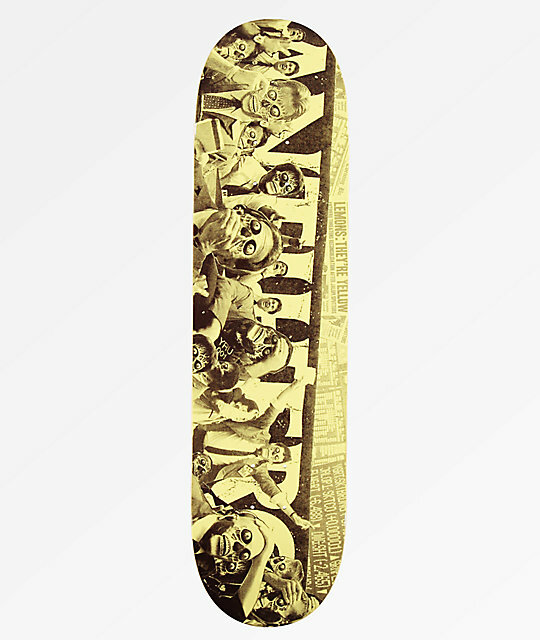 Resist authority and fight against conformity with Anti-Hero's They Panic 8.06" Skateboard Deck. Made from a durable 7-ply maple construction, this pro-quality board comes finished with a collage-like graphic of a crowd of suit and tie business men in fear; some of their faces swapped with frightened skulls. 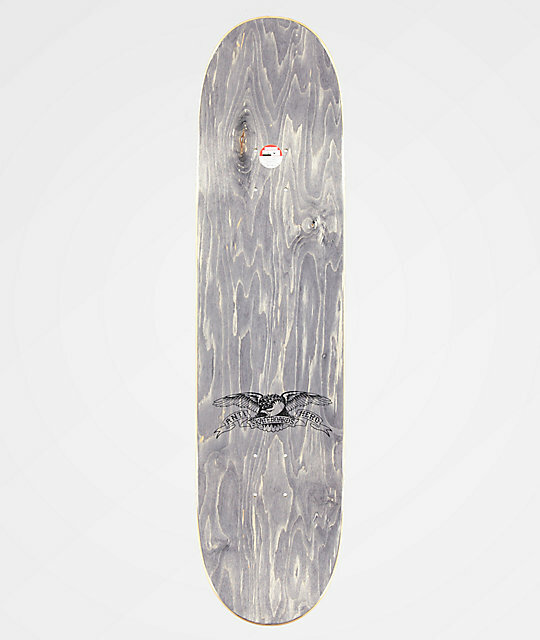 They Panic 8.06" Skateboard Deck from Anti-Hero.